To provide their funds with a performance rating, we analysed each for performance over the recent 1, 3 & 5-year period and compared their performance to all other competing funds within the same sectors. In total, 75 Columbia Threadneedle funds were analysed, each of which is available to UK investors, and combined they hold assets of almost £43 billion. 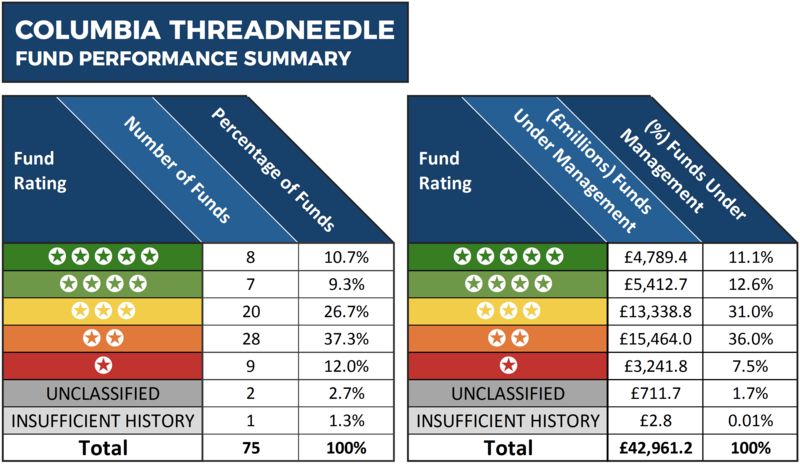 An impressive 20% of the 75 Columbia Threadneedle funds we analysed received a strong 4 or 5-star rating based on their performance over the recent 1, 3 & 5-year periods.  The eight funds to receive a 5-star performance rating have a history of excellent performance as they continually deliver returns that exceed that of their peers. Among the 5-star rated Columbia Threadneedle funds was their Global Select pension fund, which sits within the PN Global Equities sector and currently controls some £268 million of client assets. Over the recent 5-year period this fund returned cumulative growth of 91.57%, which was better than an impressive 98% of its competitors. The Threadneedle American Extended Alpha fund has also maintained a history of highly competitive performance. With holdings in Alphabet Inc, Microsoft, Berkshire Hathaway, Facebook and Amazon, this US-focused fund has been able to deliver cumulative returns over the recent 1, 3 & 5-year periods of 13.3%, 65.42%, and 110.67% respectively, which were consistently better than at least 82% of its peers. With such as varied selection of funds under their management it is not surprising that a proportion have struggled for competitive performance. 9 of the 75 funds analysed received a poor 1-star performance rating as they each have a history of poor performance in comparison to their competitors. Among the lowly rated 1-star funds was the Threadneedle Global Emerging Market Equity fund. This fund currently holds some £272 million of client assets and sits within the competitive and often volatile Global Emerging Markets sector. Global Emerging markets have had a difficult 12 months with the majority of funds in this market returning negative growth for 2018. Although funds within this sector, in general, have struggled, the Threadneedle Global Emerging Markets fund has continually performed well below the sector average. Over the past 12-months this fund returned negative growth of -10.58%, which was worse than 87% of its peers. Over 3-years it returned growth of 32.50%, which was well below the sector average of 47.51% and worse than 93% of its peers. Over 5-years, cumulative return of 22.54% was again well below the sector average of 40.41%, and worse than 92% of all other funds in the same sector. The most popular Columbia Threadneedle fund to receive a lowly 1-star rating was their Japan fund, which currently controls £701 million of client assets. This fund has continually struggled within a competitive sector, and over the recent 5-year period it returned growth of 53.26%, which fell short of the 66.45% sector average. Columbia Threadneedle are a sizeable fund manager and a popular choice for both advisers and investors who entrust more £43 billion within the 75 funds analysed for this report. Overall, our performance analysis identified that 20% of their funds analysed in this report received a strong 4 or 5-star rating. Conversely, 37 (49.3%) of their funds returned growth that was worse than at least 50% of their peers during the 1, 3 & 5-year periods analysed.